Non Graded Vintage Star Wars Items Just Added! Ebay Lots Ending Soon! Place Your Bids! HUGE Toy Lot of 65+ Items Including Barbie, Wrestling, Lego & More! NO RESERVE! Vintage Kenner Loose 1979 Vehicle Millennium Falcon C-6 Condition NO RESERVE! Black Series Archieve Wave 1 Just Arrived & Ready to Ship -- More Hasbo Resistance and Vintage PREORDERS, Limited Quantities!!! Master Replicas Luke Skywalker Lightsaber You Can Amp Up Your Collection With! Just Added, A Variety Of Vintage Star Wars! Action Man Lot of 4 Figures James Bond, Desert Patrol, Croc Ranger & More! NR! GI Joe Hasbro 2003 Action Anniversary Edition LOT of 7 Equipment Set NO RESERVE! Action Man Palitoy Lot of 2 Action Figures Cowboy & Indian Brave MIB NO RESERVE! GI Joe 40th Anniversary 2003 Accessories HUGE Lot of 9 Sets SEALED - NO RESERVE! Vintage Lot of 4 GI Joe Vehicles & Figure Vindicator, Dee-Jay & More NO RESERVE! Vintage Star Wars Kenner Loose Death Star Space Station Playset C-7 NO RESERVE! 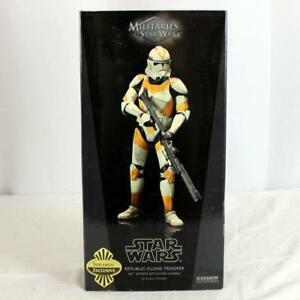 Star Wars Collector Series POTF2 12" Tusken Raider Stormtrooper AT-AT & More NR! Brand New Black Series Archive & Wave 4 Vintage Hasbro Pre-orders! Hasbro's Galaxy Adventure Wave 1 Ready to Ship! Gnarly New Sideshow Pre Orders Available! Collect Vintage Without Breaking the Bank! Boxed & Loose Vintage Star Wars! AFA! AFA! Step Right Up and Get Your AFA! Unleash Your Inner Sith With This Darth Maul Force FX Lightsaber - Buy 2 to Create a Double-Bladed Lightsaber! 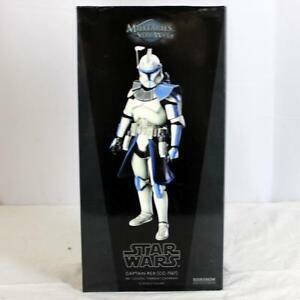 Old and New 6" Black Series Modern Figures Just Added! Limited quantities! Just Added Star Wars AFA Graded Vintge Loose Figures! RARE Blue Snaggletooth and High Grade Droids C-3PO! General Leia Organa and Kylo Ren Sideshow 6th Scale Figures Just In! Jazz Up Your Collection With Some Carded Non-Graded Star Wars Figures! Gundam Bandai Master Grade Lot of 3 Waltz Wing Zero, Shina Musha, & Zaku I NR! Gundam Bandai LOT of 4 Model Kits Kyrios, Astray Red Frame, Epyon, & Zaku II NR! Gundam Bandai LOT of 4 Model Kits Qubeley, Rick Dias, Geara Doga & Zulu NR! HUGE Sale Up to 30% Off Select Items Until The 23rd Of December! 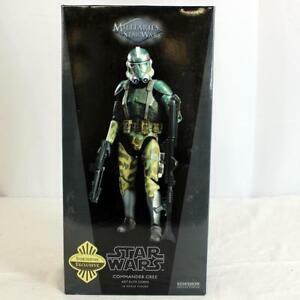 Literally 100's of SW and GI JOE Vintage Items Just Added!! 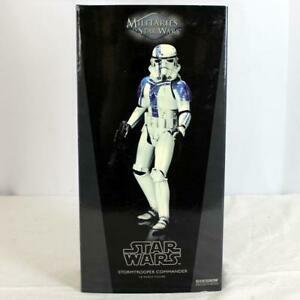 Sideshow Obi-Wan Kenobi Mythos 1:6th Scale Figure and Anovos Incinerator Stormtrooper Helmet Just In! Vintage Loose AFA Graded Indiana Jones 3.75" Figures Just Added! Ebay Lots, Place Your Bids Before Time Runs Out! Vintage Star Wars Loose Ewok Village Playset Complete C-5 NO RESERVE! Vintage Star Wars Darth Vader Lot of 5 Collector Carrying Case NO RESERVE! Vintage Star Wars 4" ESB Figure Lot of 4 Hoth Stormtrooper, Han & Luke Hoth NR! Vintage Star Wars 4" Droids Lot of 4 Death Star Droid, C-3PO, R5-D4 & R2-D2 NR! Vintage Star Wars 4" ESB Lot of 5 Rebel Solider, Commander, Lando, & Guard! NR! Vintage Star Wars 4" ESB Lot of 4 Han, Luke, & Leia Bespin / Cloud Car Pilot NR! Vintage Star Wars 4" Lot of 4 Droids R2-D2, C-3PO, Death Star Droid, & R5-D4 NR! Vintage Star Wars 4" Lot of 4 Chewbacca, Stormtrooper, Leia, & Luke X-Wing NR! Vintage Star Wars 4" ESB Lot of 4 Leia, Luke, & Han Hoth Figures w/ C-3PO NR! Vintage Star Wars Lot of 4 ESB Original 4" Figures Yoda, Han Hoth & More! NR!